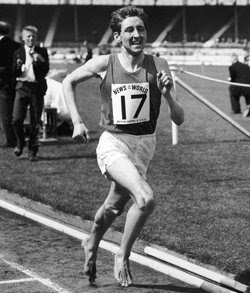 MY COMMENTS: Ron Hill is amazing- Now 70 years old, Hill ran 2 hr 10 min to win Boston in 1970 and 3 months later broke 2 hr 10 at Edinburgh. He still runs 30 miles a week. Another interesting fact about Ron Hill- he has raced in 100 different countries!